There’s a reason Apple is continuing to sell 16GB iPhones and iPads. The prevalence of its cloud-based offerings, culminating most recently with the launch of Apple Music and iCloud Photo Library, means it’s no longer necessary for iOS device owners to pick up 64GB (or even 128GB) models to access all their photos, videos, and music on the fly. Instead, everything you care about can be stored in the cloud and downloaded (or streamed) when necessary. 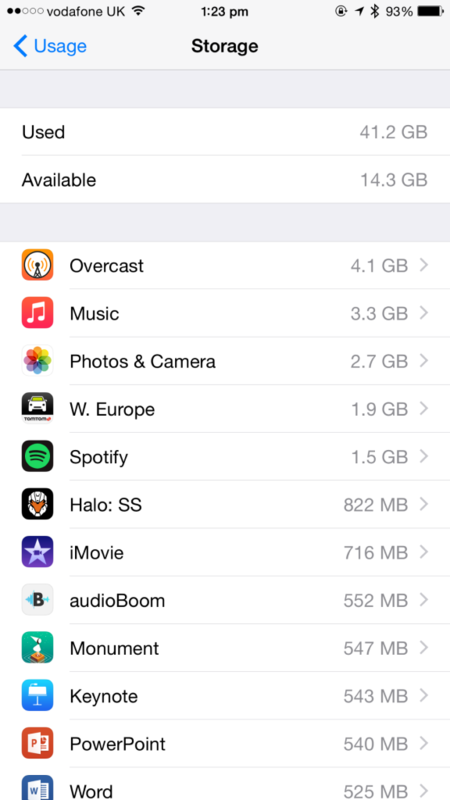 But there is one problem that could inhibit your iOS experience: storage hogs. Despite moving its services over to the cloud and allowing folks to save space in this way, Apple’s mobile OS nevertheless ships with some default features that can clog up the handset’s flash storage. If you disable them, it’s possible to free up a lot of space on your iPhone, leaving more room for those all-important iOS apps (as well as for any other media you’d like to store locally on your handset). However, if you’re not careful with the space, especially on your 16GB iPhone, it could be that you run out of it in no time at all. 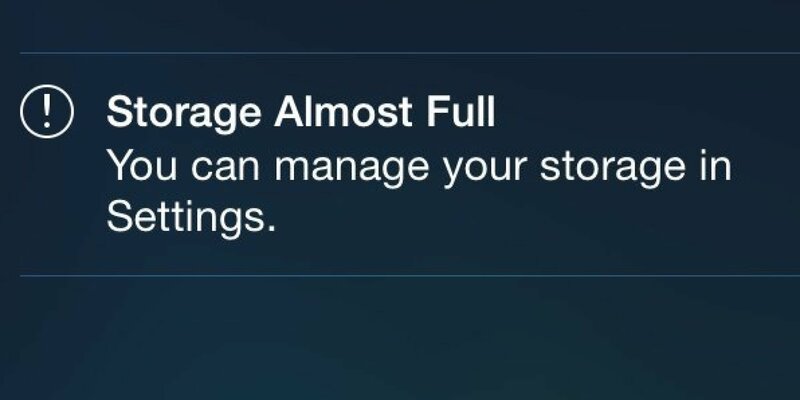 Apple will let you know when your smartphone’s internal storage is reaching its maximum capacity using the dreaded iOS error message pictured below. Once this happens, it won’t be long until your iPhone can no longer take photos, record video, or receive messages. Don’t fret, though. Because if you get smart with iOS storage and identify storage hogs as quickly as possible, you’ll be able to reclaim space on your iPhone and use the room for the stuff that matters. Save gigabytes with just a few taps. So, let’s start, first of all, with the biggest culprit. The iPhone ships with an 8 MP camera capable of recording video at 1080p, and because of this, owners of the smartphone are never without a high-quality camera – which is great. The downside to this, though, is that images and video captured using the handset can end up taking a sizable amount of space on your smartphone – especially if, like me, you’ve been shooting with an iPhone for many years, and have been restoring your entire library over with each new device. Your iOS Photos library might easily span tens of gigabytes, forcing you to explore alternatives for photo storage to conserve space on the phone. When it comes to slimming down the size of the Photos app, there are two main options worth exploring: syncing photos to a desktop computer, or using Apple’s iCloud Photo Library. It’s simple enough to export images out of the Photos app, off your iOS device, and on a computer using Apple’s USB-Lightning cable. Plug your iPhone in, launch an associated application on your Mac or PC (like Image Capture, for example), and you’ll be good to go. The problem with this, however, is that you’ll need to keep on manually exporting photos and video over time, making the process of tethered photo-syncing more than a little cumbersome. Instead, for photo and video transfer to a desktop computer, we’d recommend using an application which can sync the contents of your Photos library to a desktop using a cloud-based service, like Dropbox, Google Drive, or Box. The app I use for this is CameraSync: it’s available for $2.99 on the App Store, and can auto-sync images and videos stored in the Photos application to a preconfigured Dropbox folder at regular intervals. 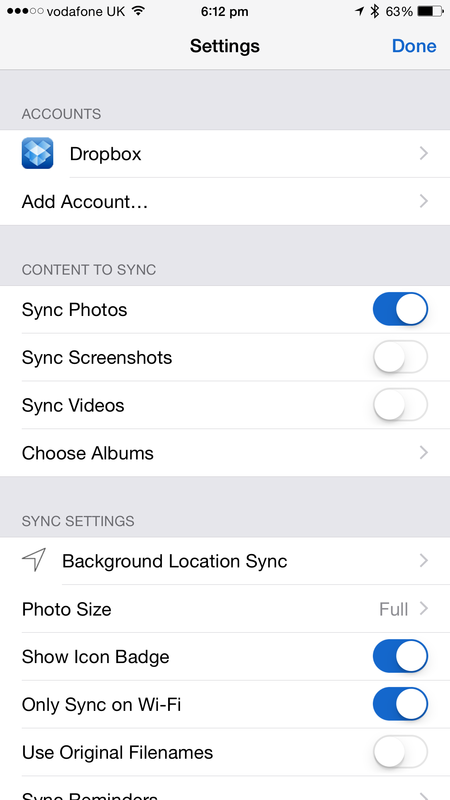 For instance, CameraSync can fire-up and transfer new images when your iPhone connects to your home Wi-Fi network, meaning you’ll never need to manually transfer photos and video off your smartphone (and into Dropbox) again. CameraSync is the best app of its kind. Hands down. Once uploaded to Dropbox and stored on your desktop computer, individual photos, and videos – or even entire “moments” – can be deleted from your iPhone and viewed using a cloud photo-viewer, like Unbound. 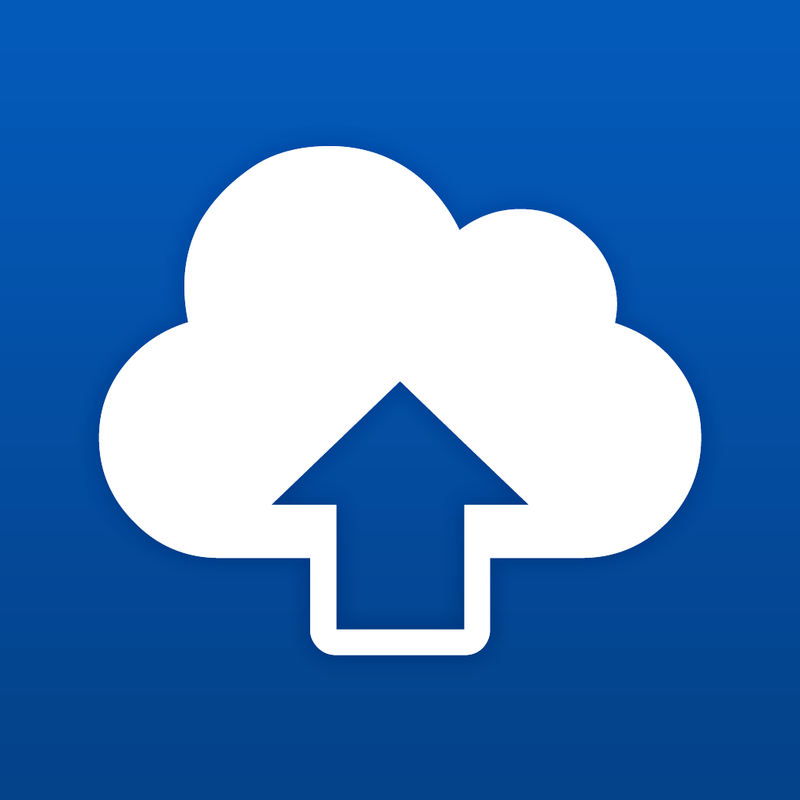 Unbound keeps your photos and videos stored in Dropbox, and only downloads them when users wish to view an individual image in full resolution. Because viewed photos are stored in the cloud, rather than on your iPhone, this method can save gigabytes upon gigabytes of internal storage. The downside to this, however, is that you’ll need to have a fair bit of space in your Dropbox account to hold all of these photos, if you’d like to have access to your entire library while on the move. Dropbox Pro accounts offer all the storage you’ll need – 1 TB of space in the cloud – but these will set you back $9.99 per month. Instead, an easier and more affordable method for reducing the space photos and video take on your iPhone would be to use iCloud Photo Library. Built into Apple’s iOS, this feature allows users to upload the contents of their Photos application to iCloud and to store media there, rather than on the device itself. 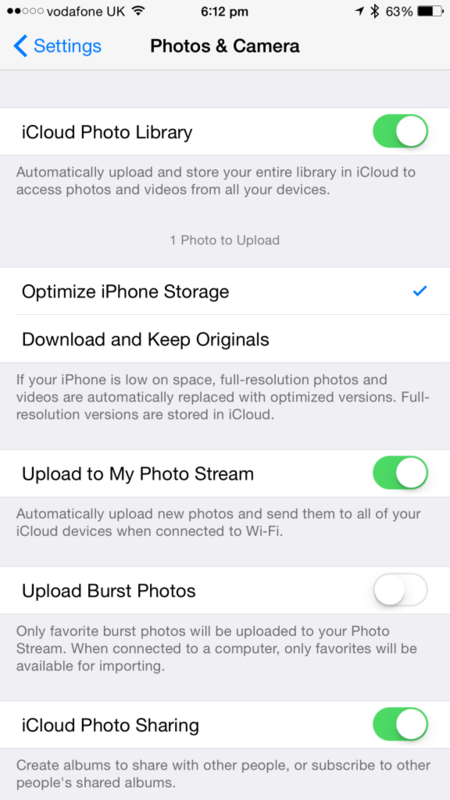 You can enable the iCloud Photo Library from within the “Photos & Video” section of the built-in Settings app. Once the contents of your Photos app have been uploaded to iCloud, switching over to “Optimize iPhone Storage” will mean that only low-res, thumbnail-quality images are stored on your smartphone. Under this scenario, full resolution versions of images reside in iCloud. 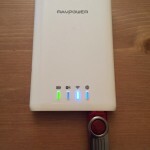 This, too, has the potential to save many, many gigabytes of internal storage on your iPhone. Much like the method outlined above, individual images will be downloaded to your smartphone only when users wish to view them; of course, you’ll need an Internet connection to do this, but iCloud Photo Library functions well over cellular. Apple’s iCloud Photo Library is the best way to free up space in the iOS Photos app. The cost of iCloud Photo Library is better scaled than Dropbox’s model, too. For 20GB of iCloud storage, you’ll need to pay $0.99 per month; $3.99 per month gets you 200GB, $9.99 per month buys 500GB, and $19.99 per month adds 1 TB of iCloud space. This same iCloud storage space can be used to back up your iOS devices to the cloud, too, which is something we should all be doing. Google Photos, Flickr, PictureLife, and a selection of other services allow users to slim down their on-board Photos library on iOS. But if you ask us, iCloud Photo Library is the one to choose. 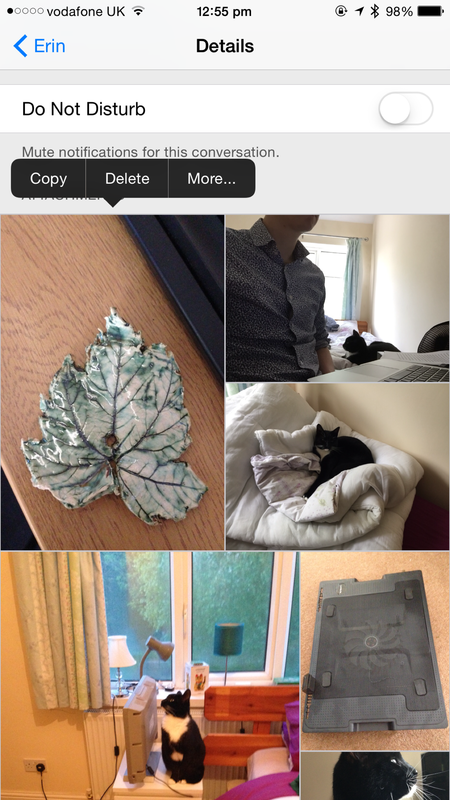 Be sure to look out for our upcoming feature on iOS photo management, which we’ll be publishing to AppAdvice soon. This might come as a big surprise, but iOS messaging apps are the “hidden storage hogs” of Apple’s mobile OS. This is because most applications, including Apple’s own iOS Messages app, retain attachments – namely, pictures – which are sent between friends. Of course, these take up precious space on your iPhone’s internal storage, and should be deleted off from time to time. In order to clean up the attachments stored in your favorite messaging apps, you’ll need to locate the attachments folder itself. This, for the iOS Messages application, at least, can be found by tapping “Details” in the top-right corner of individual threads. From here, attachments appear at the bottom of the Details interface; you can tap and hold on an individual image to select multiple ones, and these can be deleted by touching the trash can icon which appears in the bottom-right corner of the screen. 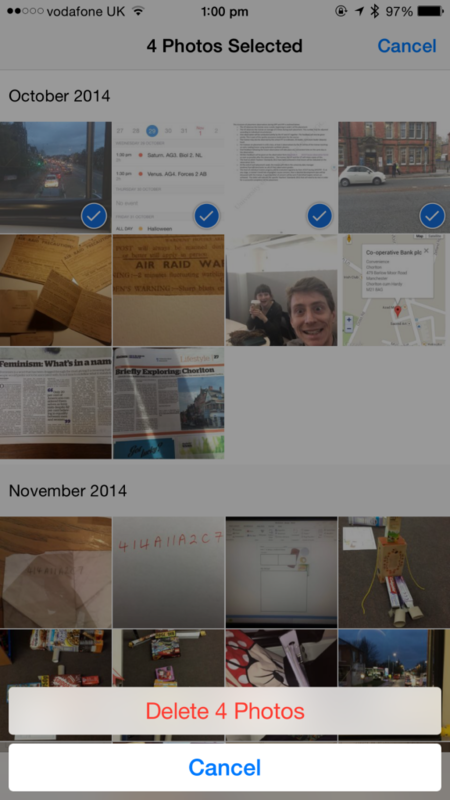 You’ll need to hold down a finger on a single image and tap “More” in order to delete multiples. Most third-party messaging applications work in a similar way. In WhatsApp Messenger, for example, users can get to the attachments folder by navigating to the “Contact Info” interface for individual contacts (you can do this from message threads by tapping on your contact’s name). From here, you’ll need to touch “View All Media,” before selecting multiple images to be deleted. In WhatsApp Messenger alone, I found 169 images sent and received between October and June – deleting these saved me around half a gigabyte (500 MB) in storage. Through cleaning up the contents of the iOS Messages app, too, I was able to free up even more space. 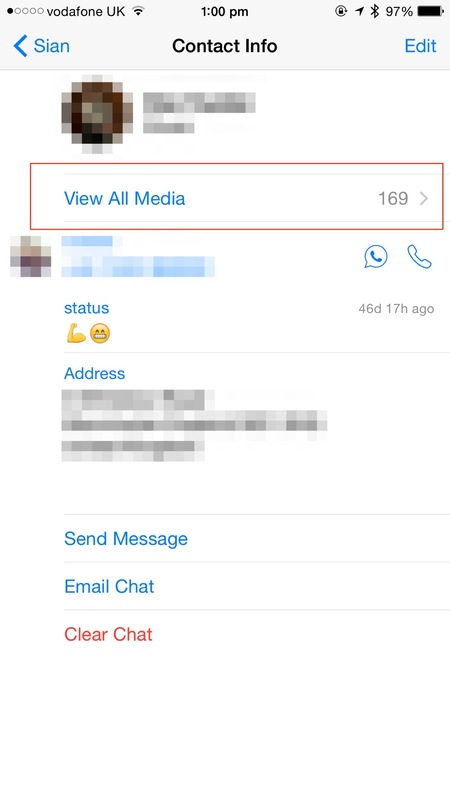 You’ll need to find the “View All Media” button at contact pages in WhatsApp Messenger. Select the images you’d like to delete, then hit the trash can icon. You’ll free up space in no time. Messaging apps definitely are the “hidden storage hogs” of Apple’s iOS. Make sure you regularly delete the contacts of your attachment folders in order to ensure that no space on your iPhone is wasted. Apple’s iOS devices are all about the apps: without them, iOS would be nothing by comparison. We hate telling readers to delete iOS applications, but sometimes, you need to be selective. One of the quickest and easiest ways to save a few gigabytes is to remove an installed app from your handset, though at the very least, “cleaning up” an iOS application can help, too. … and after cleaning up Overcast. The rest of the apps in list displayed above are ones I’m happy with keeping: though I have a 40GB library saved in iCloud Photo Library, I like to keep some albums saved locally on my iPhone; at the minute, I’ve been using Spotify until Apple Music launches, and I keep a few albums saved offline for when I’m out of reach of a cellular data network; and the same goes for the iOS Music app, which also has a few gigabytes of music saved in there which isn’t available on Spotify. The remaining apps taking up space on my iPhone are ranked high simply because they are big downloads – TomTom stores maps offline, Halo: Spartan Strike is a high-res, graphically rich game, and iMovie is packed with content and transitions. If I ever get bored with Halo, I’ll delete the app and save 822 MB, but for now I’m happy it’s there and can afford the space. This isn’t the case on my iPhone, but if you do see smaller apps like Facebook or Twitter taking up a ton of space on your handset, don’t panic. 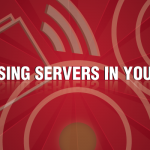 Sometimes, this occurs because certain applications (and often social networking apps) cache data right onto your iPhone itself, and become secret storage hogs without their user noticing. If this happens to you, there is a quick fix: simply deleting the application and reinstalling it from the App Store will clear the cache, freeing up space on your handset as a result. Apple’s iOS 9 isn’t due until September, but once it launches, be sure to update, pronto. The revamped OS doesn’t just bring additional features, improvements, and fixes galore; it will also save space on your iOS device in a number of different ways. For one, iOS 9 itself weighs less than its predecessor, iOS 8, while still supporting the same range of iOS devices. Whereas iOS 8 took 4.3GB of space on users’ iPhones and iPads, iOS 9 will take up just 1.3GB, leaving more room for users to work with. But that’s not all. As we explained in a recent article, iOS 9 also means third-party iOS applications are going to weigh less than they currently do, since the App Store will only install the assests required by your particular model onto your iPhone, iPad, or iPod touch. At the minute, any given application ships with assests for every compatible iOS device; once iOS 9 launches, however, the App Store will only offer up the content your iPhone or iPad actually needs, meaning third-party software will take up less space as a result. 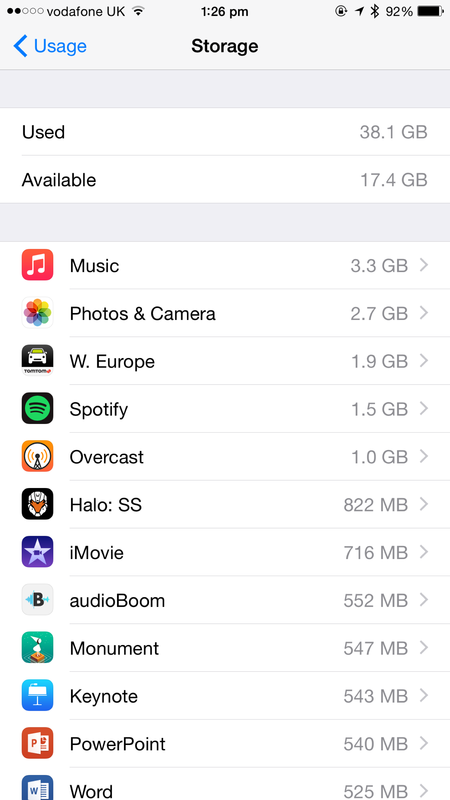 Because of all of this, there’s no reason a 16GB iPhone shouldn’t work for you. Follow our tips and advice, and get smart with internal storage now. Then once iOS 9 launches in September, be sure to download and install the software update.